Address: Salzburger Str 12, 28219 Bremen, Germany. This is a disused sewage pumping station that’s now been converted into a museum on Bremen’s sanitation culture and history. In addition to learning about the machines, you can also step into an actual sewer. It’s not for everybody, but give it shot! It is also a venue for theatre and cabaret. Check the attraction website to see what’s on. Only open first Monday of every month (a week later if that Monday is a holiday). Alte Pumpwerk Address: Salzburger Str 12, 28219 Bremen, Germany. 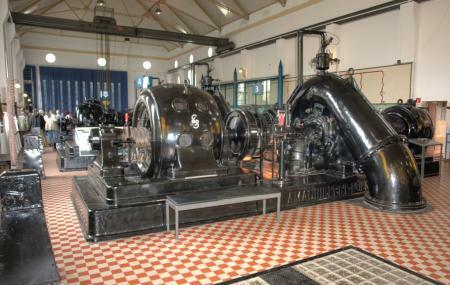 How popular is Alte Pumpwerk? People normally club together Universum Sceince Centre and Rhododendronpark Bremen And Botanika while planning their visit to Alte Pumpwerk. Schönes Musseum für die Geschichte der Abwasseeleitungen und um die alten Maschinen zu sehen.